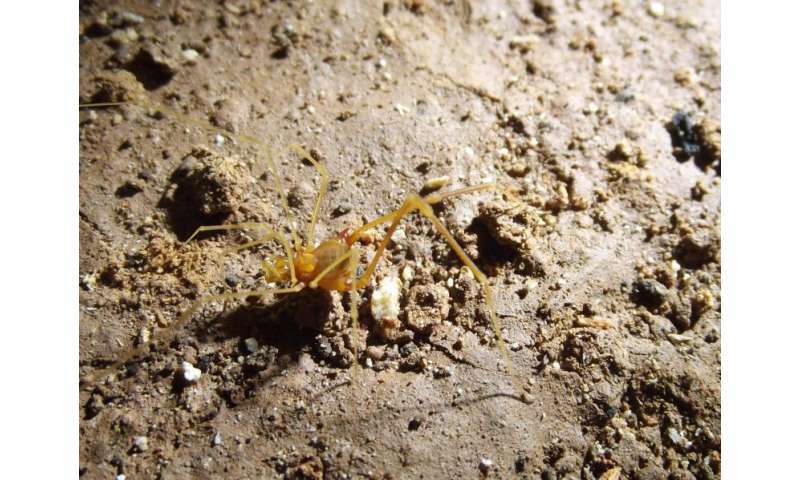 Called after Tolkien's character from the "Lord of the Rings" series, a new eyeless harvestman species was found to crawl in a humid cave in southeastern Brazil. Never getting out of its subterranean home, the new daddy longlegs species is the most highly modified representative among its close relatives and only the second one with no eyes living in Brazil. Its introduction to science, made by the Brazilian research team of Dr. Ricardo Pinto-da-Rocha, Instituto de Biociências da Universidade de São Paulo together with Dr. Maria Elina Bichuette and MSc. Rafael Fonseca-ferreira from Universidade Federal de São Carlos (UFSCar), is published in the open-access journal ZooKeys. 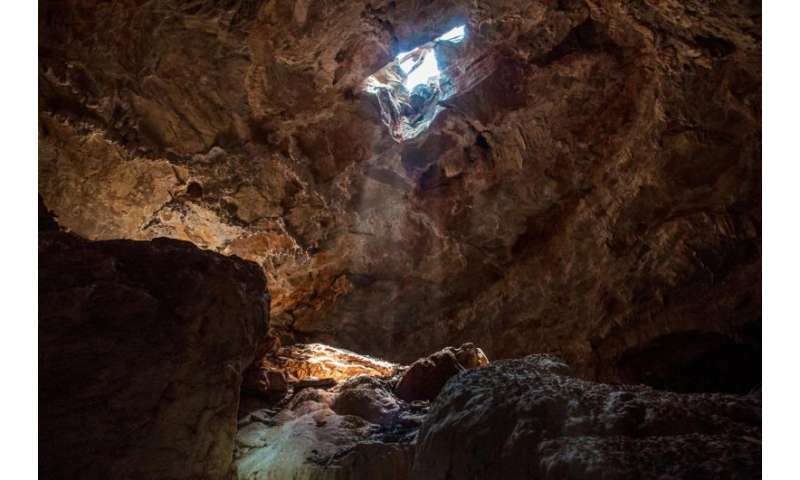 While there are cave dwellers that can easily survive above the ground and even regularly go out in order to feed or mate, there are some, such as the new harvestman species, Iandumoema smeagol, that never leave their subterranean habitats. As an adaptation, the new harvestman species is eyeless and has a reduced amount of melanistic pigmentation, which shows through its pale yellowish colours. The fourteen adult and juvenile individuals, observed by the researchers, were noticed to always stay close to the stream, most often preferring the wet cave walls. While the juveniles appeared quite active, the adults showed a more sedentary behaviour. 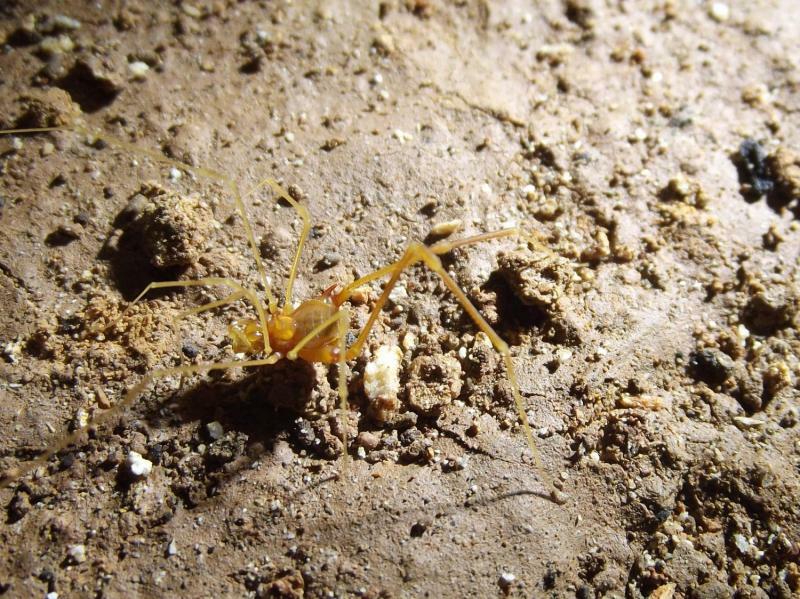 Typically for the harvestmen, the new species was found in a cave with organic matter deposits or spots. On one occasion the team observed one of the individuals in such litter, where it was scavenging carcasses of invertebrates. In conclusion, the authors point out that additional studies on the population biology of the new species are urgent so that an adequate conservation strategy can be assumed. 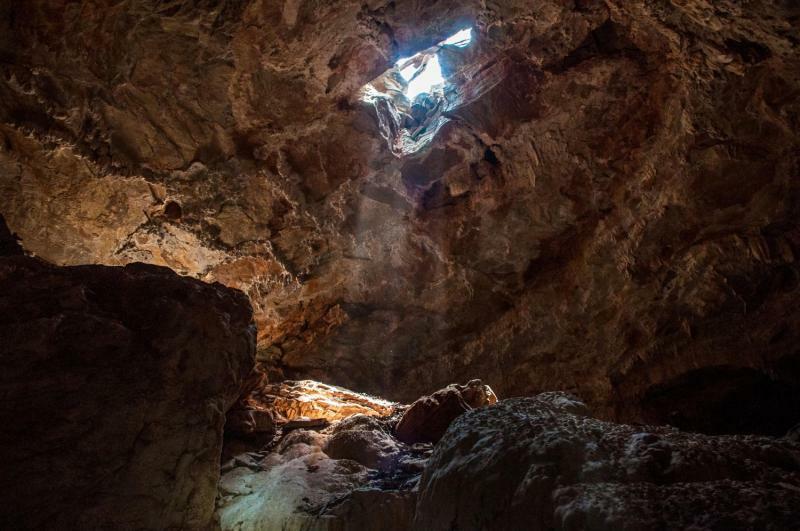 It is probable that its highly restricted distribution along with the deforestation taking place in the cave's immediate surroundings call for the creation of protected areas.